I'm a high school social studies teacher, specifically, U.S. history (and sociology as an elective to upperclassmen). U.S. History is my love, my passion, my purpose! Seriously, I LOVE teaching about our nation, the good, the bad, and the ugly! 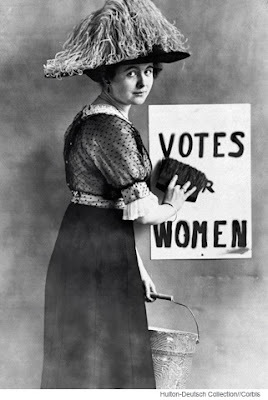 I would be hard pressed to say which topic I love the most, because I really just love the subject in general, but I've always been pretty passionate about women's history (just ask any of my students!). I've had this image hanging as a poster in my classroom since the start of the year and just love it! 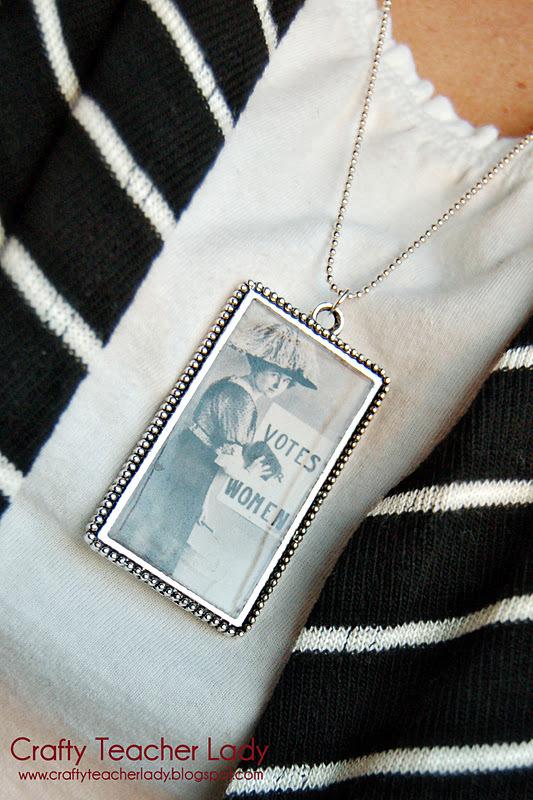 It's a primary source from the era leading up to the passage of the woman's suffrage amendment. One of my colleagues, Teal, makes custom resin jewelry and I had mentioned to her how much I loved this poster and would love it made into a necklace. The problem was, we couldn't find the image anywhere! However, after a few clever shifts in 'search terms' via Google, I was finally able to locate its online origin! 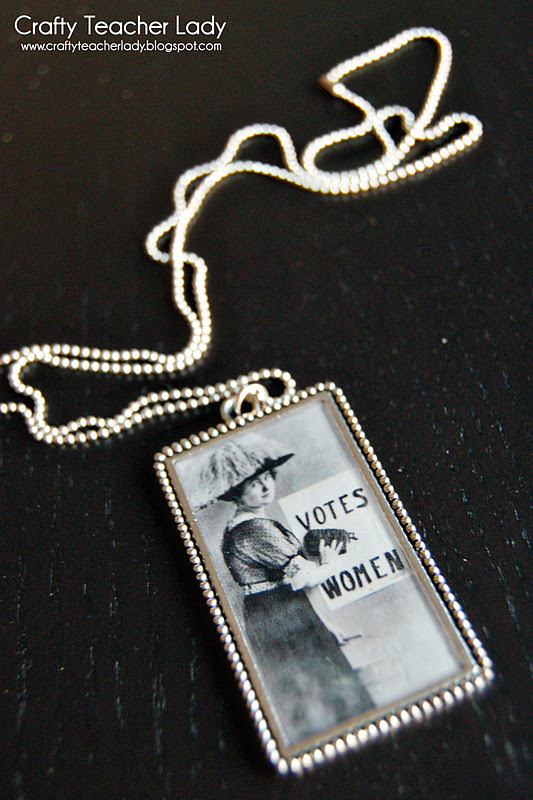 I sent it to Teal and she surprised me with an awesome birthday gift...my custom 'votes for women' resin pendant! And can I just say how much I L-O-V-E it? A history teacher's dream come true! I love love love this necklace. I want one for election day in a couple of weeks!